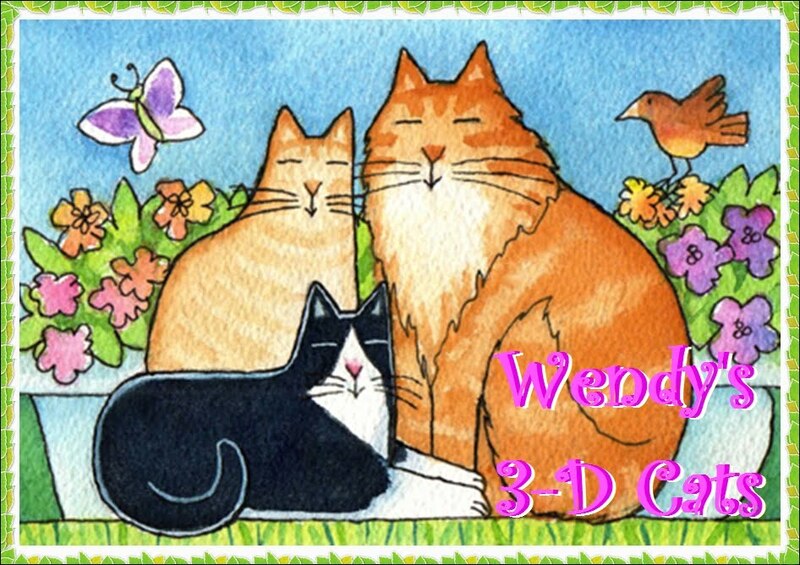 Wendy's 3-D Cats: 3-D CHRISTMAS PURRADE! These are pictures of Christmas past presented totally in 3-D, in no particular order -- I give you Dante, Dylan and Domino! Prod, prod! Feels like something yummy! Jingle bell, go to hell! And they wonder why I'm reBELLious! It's a red scarf, but it doesn't match my eyes! Let me in before I turn into a BRRRito! There's something I'd like to adDRESS! 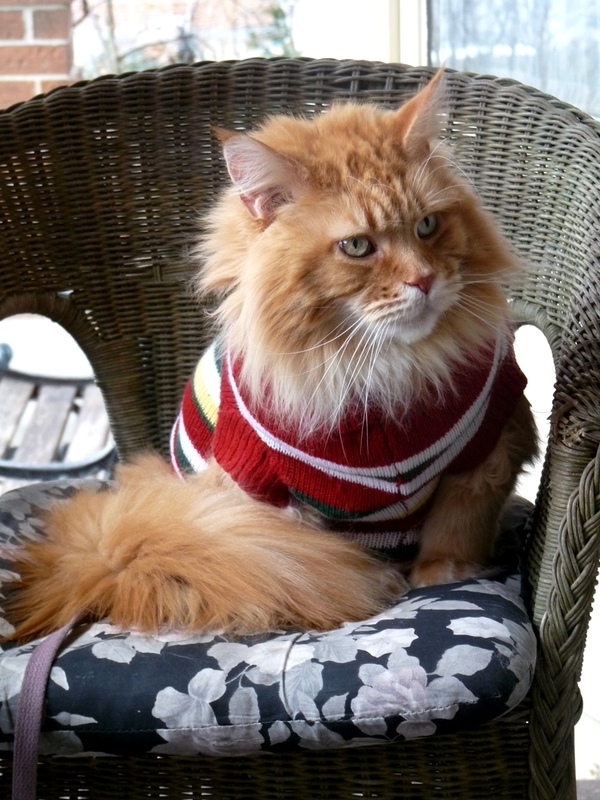 Get this thing off -- I ain't no tea cozy! Yes I am, yes I am! Merry Christmas to you all, Wendy. 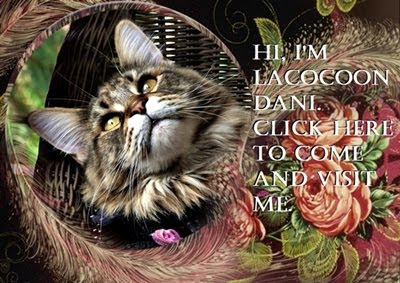 We won't be on-line much until the new year, so will wish you a wonderful celebration and much laughter, love and Light in 2012! Those are all lovely Christmas photos. Merry Christmas to you all. Those were great! We're still laughing over here! Have a very Merry Christmas everyone! I loved those photos!!! Wow! Yous could never ever get mes into anything other than my beauteous fur coat, but yous guys make it looks like fun! Everyone looks so festive! I love Domino in her holly dress! You have beautiful fur babies! Merry Christmas! Merry Christmas to the 3-D kitties. Looks like you had your own LOL going today. 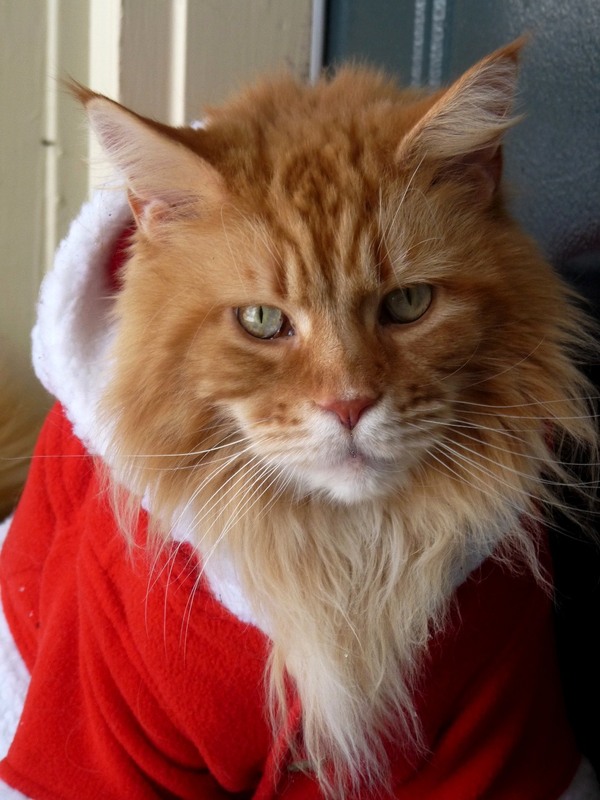 Meowy Katmas from the Katnip Lounge Kitties! Very nice outfits! WE are not sure you really enjoy modeling them, though! So festive! Well, most of the pics are - Merry Chiristmas! We're glad our human doesn't try to dress us up! She thought the pictures were funny. We hope you all have a wonderful Christmas with lots of presents and treats! Merry Christmas to all of you, dear friends! We got a big laugh out of "Jingle Bell, go to hell"! What nice kitties you have to wear all those clothes. The most we would venture was a hat on Oui Oui! Of all cats, we would have thought Dante would least need a sweater. Wishing you the very best! Adorable photos, ALL of 'em! Such a loFURLY Christmas Post... featuring the 3-Ds... I'm a bit behind here but better late then neFUR! THE 3-Ds ARE OUT AND ABOUT! 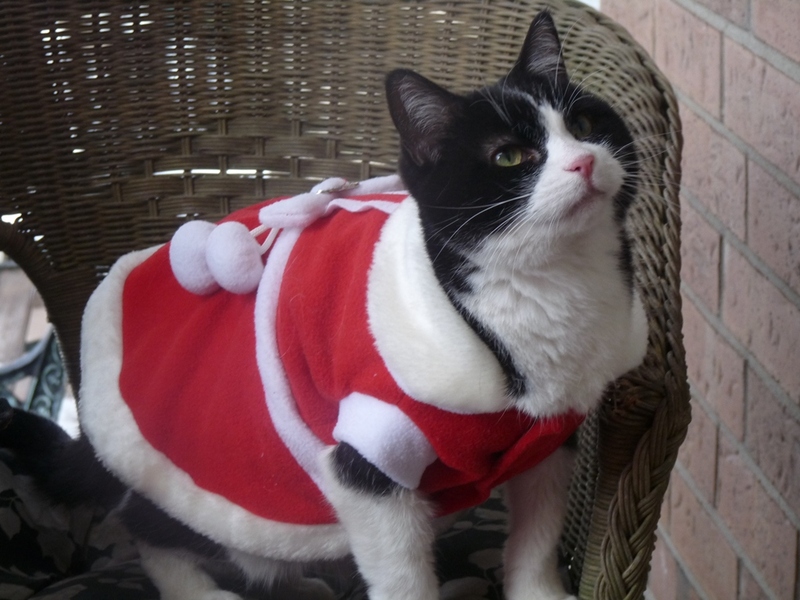 TUXY TUESDAY WITH DOMINO: HOLIDAY HO-HO-HOSTESS!